ShowingFilter 1-20 of 162 listings. 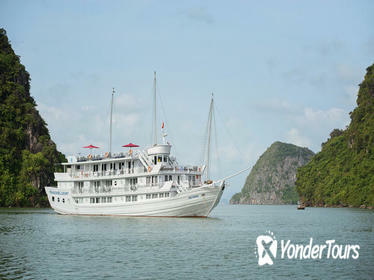 Experience more of Halong Bay on a 2-night cruise aboard a classic wooden boat. See the highlights of this famous Vietnamese destination including Ti Top Island, Sung Sot Cave, Titov Island, Tung Sau Pearl Farm, and Cua Van Floating Village. Stay in your own private cabin with ensuite bathroom, soak in the views from the large sundeck, enjoy delicious meals in the dining room, and perhaps treat yourself to a spa treatment (own expense). Other activities include kayaking, tai chi lessons, a cooking demonstration, and evening squid fishing. 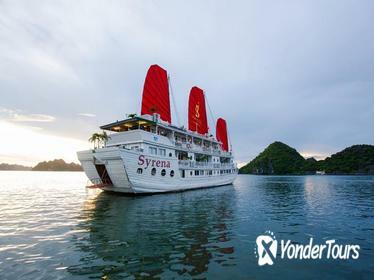 Hop aboard a traditionally designed vessel featuring 11 deluxe en-suite cabins for a 2-day Majestic Cruise on Halong Bay. 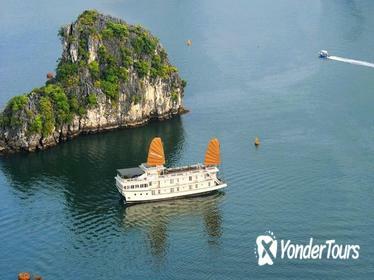 After driving through the Red River Delta from Hanoi, you're welcomed aboard with a cocktail before setting sail into the World Heritage area dotted with limestone peaks and caverns. Visit Luon Cave and Sung Sot (Amazing) Cave; swim in emerald waters at Soi Sim beach; kayak or ride in a bamboo boat; take tai chi, cooking and more. 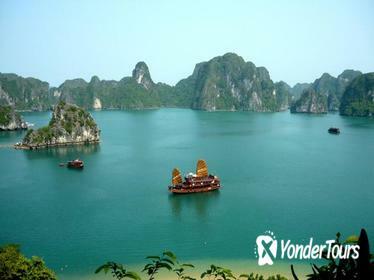 The UNESCO-listed landscapes of Halong Bay are some of the most stunning in Vietnam. This 3-day cruise lets you explore much further than a day trip and experience the bay at its most magical during sunrise and sunset. Visit natural wonders including Sung Sot Cave, Dog Islet, and Man's Head Islet; enjoy free time to swim or trek to the lookout points of Titov island, go kayaking around Cua Van Fishing Village; and visit a Pearl Farm. Enjoy a Nha Trang getaway with the Emperor Hideaway, a result of our passion to create experiences with genuine Vietnamese hospitality, royal glamour, history and heritage of our last emperor, King Bao Dai.We wish you to explore, soul search, and discover our concept for a 2-night escape by the bay in a true secret hideaway, located in Mieu Island, Nha Trang Bay, Vietnam.You'll stay in our private villas fit for a royal family in either one of our King or Queen Suites with uninterrupted ocean views, ultimate privacy, and ultra personalized services with private butlers available anytime, anywhere. A 3-day cruise around Halong Bay provides ample time to experience the natural wonders of the UNESCO World Heritage site. 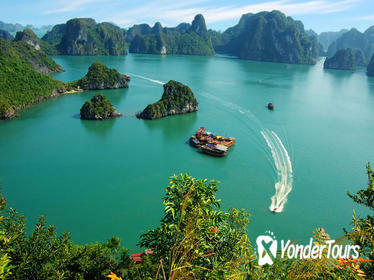 On this tour, explore further than many cruises and visit Bai Tu Long Bay and Lan Ha Bay. Along the way, stop to swim or kayak around the islands and beaches, take a boat ride through Surprise Cave, and enjoy on-board activities such as tai chi, squid fishing, and a Vietnamese cooking class. 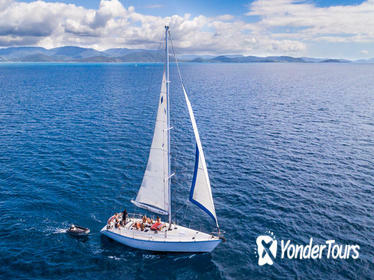 Sail, snorkel, and relax while exploring the Whitsunday Islands' coral reefs and beaches over two days. Take advantage of a flexible itinerary by heading out to some of the best snorkeling locations and islands depending on weather conditions and your preferences. 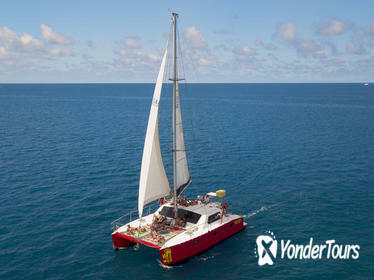 There's no need to pack snacks or meals - breakfasts, lunches, and dinners are included - or bring snorkeling equipment. This is a Private Wildlife Safari with 3 meals a day that can be accommodated at Lodges or Camping inside or outside the National Parks. These parks are located on the doorway to the Northern circuit National Parks of Tanzania, 120km Tarangire, 130km to Lake Manyara, 190km to Ngorongoro and 320km to Serengeti from Arusha town. 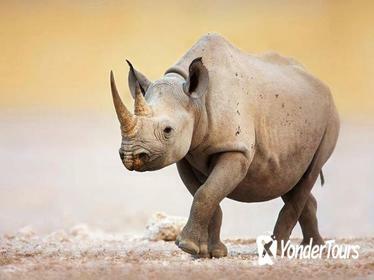 All these parks are the home to small and large animals including birds and reptiles, also inside the parks there are standard to luxury lodges, luxury Tented camps. Experience and enjoy the nature, wildlife and habitat of small to large mammals, birds and reptiles in their natural areas. Our driver guides are knowledgeable and competent. As this is a private safari it is ideal for families as the proposed itinerary below can be designed specifically to meet your requirements and pace.Max participants is 12. Enhance your experience of one of Vietnam's most popular attractions on a luxurious 3-day cruise of Halong Bay, a UNESCO World Heritage Site. Opting for a longer cruise means you'll be able to explore at a relaxed pace and enjoy the bay before it gets overrun with midday cruises. Plus, you'll witness more sunsets and sunrises, and visit less-crowded caves and beaches. 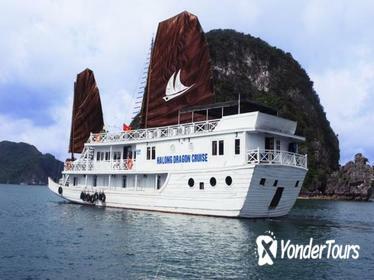 Spend a memorable three days cruising around Halong Bay, Bai Tu Long Bay and Lan Ha Bay on this luxury cruise, including round-trip transfers by bus or seaplane from Hanoi (depending on option selected). Hop off to visit Surprise Cave; enjoy hiking or biking on Cat Ba Island; and kayak around the Viet Hai Lagoon, then take a bamboo boat cruise through the Vung Vieng floating village. Make the most of on-board activities too, like Tai Chi classes, squid fishing, a Vietnamese cooking class and a traditional tea ceremony. 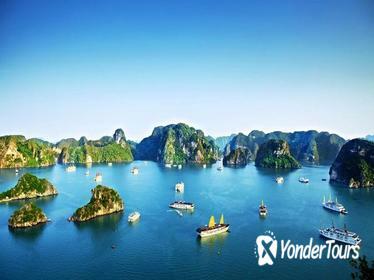 Enjoy three days of swimming, kayaking, cycling and relaxing on this Halong Bay cruise with round-trip transfers from Hanoi. Experience the beauty of this UNESCO World Heritage-listed site as you float in a traditional wooden boat. Savor traditional Vietnamese cuisine and seafood barbecues and choose from a variety of activities to round out your stay. 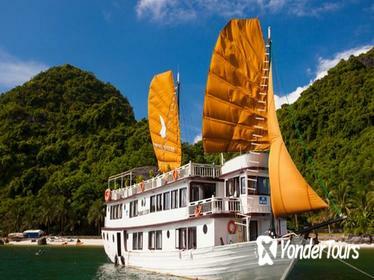 This Halong bay 3-Day cruise tour gives tourists a chance to dig deeper in the exquisite scenery of Halong Bay. You'll get a chance to see Sung Sot Cave, Titop Island, and Ba Trai Dao Islet to name a few spots. 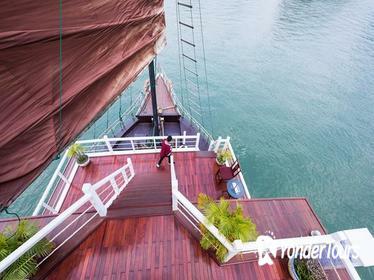 The trip will start with a transfer from your hotel in Hanoi's Old Quarter to the ship. Along the way you'll be treated to various Vietnamese meals, but also get a chance to take a class to cook your own, or learn some Tai Chi while you're at it. 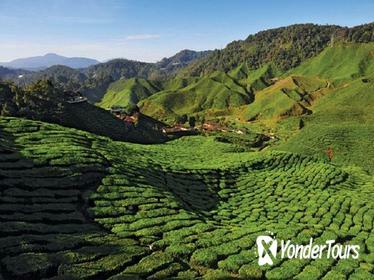 Break up the journey from Penang to Kuala Lumpur with this 2-night tour of the Cameron Highlands, where the green hills and cool mountain air provide relief from the heat. On this tour, follow your guide along unmarked trails to discover the hidden highlights of this unique landscape before seeing where Malaysia's freshest tea and berries are grown. Discover the UNESCO World Heritage-listed landscapes of Halong Bay without having to rush on a 2-day cruise that's ideal for first-time visitors. Spending the night on the water means you'll get to witness both sunrise and sunset over the karst caves and limestone islands without having to rise at an inconvenient time. Plus, you'll take part in a cooking class, sea kayaking, and caving, and feast on Vietnamese dishes for breakfast, lunch, and dinner during this stress-free and seamless experience. Udaipur - Elegant Palaces & Havelis ,the tale of Royal families. Explore the wonderful carved structure of Lord Vishnu as Jagannath. Visit of oranamental garden - the saheliyon- ki -Bari or Garden of Maids. A reason to visit the private folk-art-museum. Cruise the shimmering city at Lake Pichola. Intricate collection of dresses, jewellery, dolls, musical instruments. 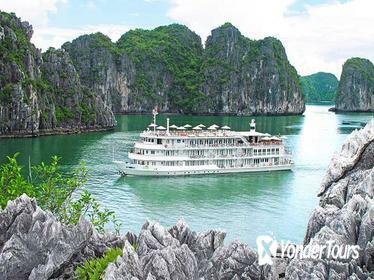 Experience one of the most beautiful natural sights in Vietnam in style on this three-day Halong Bay cruise. As well as the stunning scenery of the bay, you'll enjoy delicious food on board your ship, a cooking class, the chance to go swimming and kayaking, and many other activities. 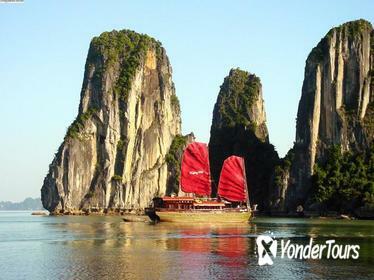 This is the convenient and comfortable way of touring Halong Bay from Hanoi. Discover Halong Bay and Cat Ba Island with a 3-day itinerary that includes a boat cruise in the World Heritage area plus an overnight stay in town. Stop for a swim at Soi Sim Island and visit Sung Sot Cave (Amazing Cave); take a boat tour to nearby Lan Ha Bay; ride a bike to a local village; look for wildlife at Monkey Island; and enjoy free time in Cat Ba. Choose from activities such as kayaking, cooking, karaoke or squid fishing. Select a superior or deluxe cabin. 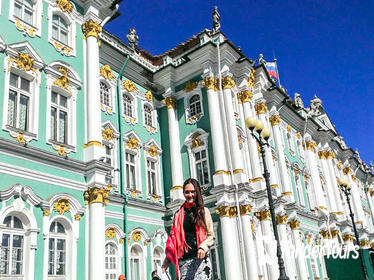 A journey to the historical treasures. 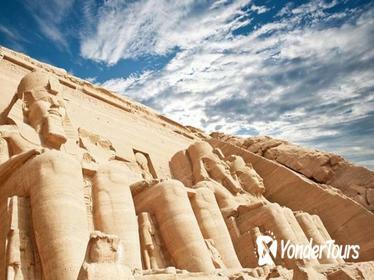 Stay in our 5* Nile Cruise with full board accommodations and experience Egypt on our discovery trips. Here you'll visit the Great Giza pyramids, the temples along the Nile and the royal burial chambers of King Tut Ankh Amon in Luxor. First class transport and guide is included to all the sights.